By Morten G. Ender, et al. How do millennials feel about war in general? Should we be concerned of a kind of detachment from the military and its affairs? One reason we wrote the book is we thought we [America] had, since 9/11, moved into a new, post-9/11 era in the public’s attitude toward the military. There’s been this ongoing debate about a civil-military gap among pundits. On one hand, many, indeed most, suggest the gap is widening, especially in the past 12 years. Our view, based on 12 years of data collection, is that this is not a wide gap; that the gap has been getting narrower in many areas. We wanted to test the civil-military gap hypothesis in particular. 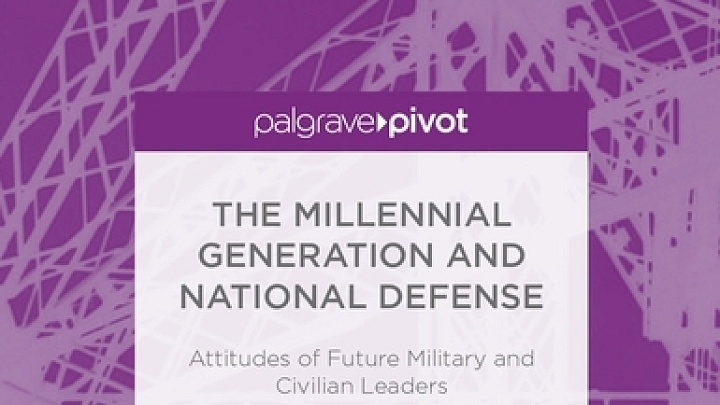 Millennials are the most studied group ever, but not many questions are asked of them about military matters. We wanted to fill this knowledge gap and study the civil-military gap. What are some of your big takeaways? The biggest takeaway is there’s not a big difference between military millennials and civilian millennials. They view sociopolitical and domestic issues fairly similarly. At a time when we have an all-volunteer force and young people self-selecting into the military, including the officer corps, one would think there’d be a huge gap between these groups. But that’s not necessarily the case, more generally, based on our findings. But there are some issues with signs of divergence: ROTC and military academy cadets are much more global in their orientation than their civilian peers. Cadets are concerned about global nuclear war, international terrorism, and think the military should be used to primarily focus on these types of missions. They think these are the most significant issues in the 21st century. Civilian college students, on the other hand, don’t think see these necessarily as the priorities for the U.S. armed forces. They view domestic issues as more important. They give preferences to use the military to manage U.S. social problems. Civilian [millennials] are more isolationist than their military cadet peers. Two other [divergent] areas are their attitudes toward gays and lesbians, and attitudes toward women in the military. Cadets are much more conservative/traditional than their civilian peers. But we can qualify these findings. Fairly recently the U.S. repealed explicitly discriminatory policies such as “Don’t Ask, Don’t Tell” and the combat exclusion of women. While the policies were in place, young people who joined the military likely internalized the organizational values that placed gays, lesbians, bisexuals, and women as secondary organization citizens. The organization in essence legitimated second-class citizenry for new members. If it was good enough for the organization, it was good enough for most incoming cadets. For example, even many female cadets felt women should not be allowed in combat roles. As we moved toward repeal of these major two policies over the past 12 years, we saw tolerance of cadets move more in-line with civilian peers. Today we are seeing greater tolerance among cadets toward gays and lesbians in the military and women in combat. That’s the good news story, even though they’re different than their peers, they are moving toward more tolerance. We think attitudes will trail policy repeal today much like it followed racial and ethnic integration in the middle of the 20th century. We tend to think of younger millennials as the “Me Generation,” as one driven by self-achievement and selfies, not sacrifice and service. Are millennials enlisting at the same rates as previous generations? What are ways to enlist the current generation? Yes. There has not been a recruitment problem. The military is meeting its numbers—they always want a better quality recruit or cadet—but they consistently get the numbers they need. In our review of the literature, there is a mixed finding. Some suggest millennials are preoccupied with themselves and hedonistic. Another view finds they are volunteering a lot and giving of themselves. Remember this is a generation that had mandatory service-learning in high school and middle school, so it is oriented toward community service. But the jury is still out. [For example], this brother and sister duo started this program Cell Phones For Soldiers which bubbled up into this multi-hundred thousand-dollar nonprofit. Lots of millennials are out there doing terrific stuff. My son started a pass-back project that sends used soccer equipment to Afghans. These aren’t local, community service, but global efforts. So there’s a stereotype of young American people preoccupied with themselves. Indeed, most, older generations have labeled younger generations as selfish. There was a period during the Iraq War in 2005-2007 where enlistments went down. That’s not because of values but rather the likely fear of death and negative attitudes toward the political structure/situation. For example, we saw significant pockets of African-Americans not coming into the organization. One response of the military was to raise the age of enlistment from 32 to 42 years of age. Remember that kids don’t come into the military for intangibles exclusively, but rather for tangibles as well. For most, they are ambitious kids who want to make a difference but can’t afford to go to college. They are trying to get out of dead-end situations, to find something better for themselves. Intangibles matter, but they matter less. On that note, how does socioeconomics affect young people’s attitudes toward war and the military? The middle and upper middle class have more opportunities and don’t have to come into the military for tangible resources. If they perceive the military as a dangerous option for them, they have other options. The risk of injury or death is certainly there in a time of war, but the middle class have more options and the working class has fewer options so the latter must assume a greater level of risk to fulfill their ambitions. I think middle class youth are not necessarily pro-war, but they’re not anti-military either. They want socio and political security and to be taken care of, but they can think that somebody else can assume the risk for them, for the nation. There are pockets of anti-war millennials certainly, but I don’t think it’s to the level that it was during the Vietnam War era. Moreover, what distinguishes middle class millennials today relative to their baby boomer peers is certainly not being anti-soldier—they can make a differentiation today. Millennials separate the war from the warrior. Moreover, the press, particularly the print press, has been very positive toward soldiers. And more recently think about all the coming-home stories. They are portrayed positively even in television commercials. The press has very much humanized American soldiers in ways we hadn’t done in the past—in particular the 1960’s. Soldiers aren’t afraid to walk around in their uniforms today. My cadets are a little shy when they wear their uniform. Mostly because people thank them for their service and give them first class seats on airplanes and they clap for them at sporting events. But cadets feel a bit embarrassed because they haven’t even served yet and don’t feel they deserve the attention. They accept it though because they are being positively associated with the service of their future comrades in arms. How do you view the fairness issue, in light of your research on millennials? I don’t think it’s fair that so few must fulfill citizenship obligations in some ways for so many. I think that sacrifice should be distributed. I’m an advocate for universal national service. I don’t think that such a small proportion should have to go out and do that. That’s my personal view. Most of us have no more obligations other than paying taxes and jury duty. I’m an advocate for some kind of draft, not just military service but other kinds of service including fixing bridges, fighting fires, working with the elderly, you name it. Do I think people feel guilty? Sure, there’s a degree of recognition that others have sacrificed. The leadership, especially [former President] George W Bush, legitimized not sacrificing in many ways. The orientation for the nation was that we should not change our behavior as American—it should be business as usual. The immediate post-9/11 context was framed such that the bad guys win if they make us change our lives. Our social responsibility was to continue going to the malls, going about our daily lives. In many ways, the current administration has continued that frame—mostly because the opportunity for capturing and leading on shared sacrifice had passed. What effect does 9/11 have in shaping millennials’ views on war? I don’t think 9/11 is on their minds any more. But we’re still in the grips of a global war on terror—sort of—maybe more perception than reality. That doesn’t go away easily. This is much like my generation during the Cold War. I didn’t experience the Korean War and was too young for Vietnam but the Cold War was very pervasive for my generation. The cultural milieu of a bi-polar tension was always there, in the background, but not necessarily front and center. For cadets however, it is certainly front and center. For civilian college students, not so much. We also hear that millennials tend to be more insubordinate and more likely to question authority. Does that make it more difficult to train this generation of younger soldiers? That’s a big issue. On one hand, millennials are conventional. They are rule followers. On the other hand, they do question the rules and authority figures. I don’t think that’s a bad thing. I think you want people who are not going to be robotans and go completely, mindfully, conformist. I think you want people who think outside the box and are critical thinkers. Conflict is good for an organization, even the military. It’s not a problem for training. I think smart and well-developed officers recognize diversity not just in the social characteristics of their people but in their thoughts as well and need to welcome people who challenge what we’re doing. You don’t want just obedient followers to take a hill knowing they may be slaughtered. The risking of injury or death of all American service members in war should be exceptionally well justified and reasoned. I recently heard the President Obama say in a speech he is “haunted” by the deaths of West Point cadets under his command in Afghanistan. We should all have such empathy. 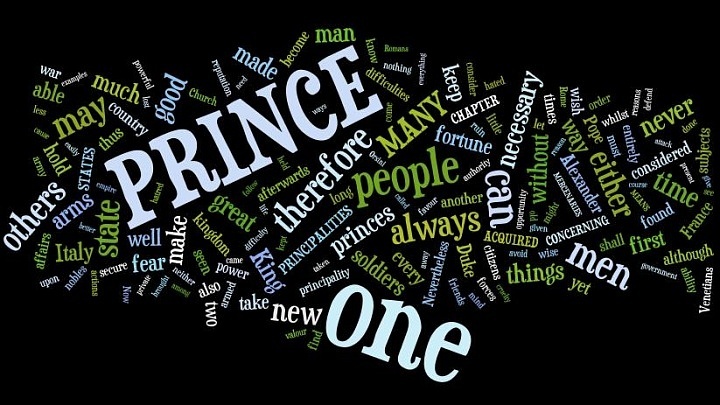 Was Machiavelli Right About Innovation? Did you know domestic violence is the leading cause of injury to women – more than car accidents, muggings, and rapes combined.